"Customer service and customer relationships aren't just important; they are EVERYTHING in the real estate business". That is Mitzi Holt’s attitude with every transaction. She loves working with clients and enjoying their complete satisfaction when buying the perfect home together. A Dallas native, Mitzi’s husband brought her to Granbury 24 years ago and she fell in love. As a residential Realtor since 2000, she assists clients with buying and selling homes. Experienced and knowledgeable, Mitzi provides exceptional service and is dedicated to building positive and trusting relationships. Every client and every transaction is different; Mitzi respects and understands this fact. It is important to adjust to each client's unique needs and wants, and she keeps client's individual priorities top of mind. Mitzi has always been active in the community as she raised her two children here. 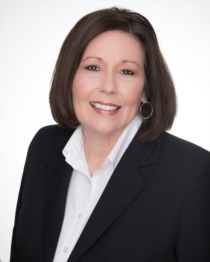 She is involved with the Granbury Association of Realtors, a member of the Texas Association of Realtors and the National Association of Realtors, Granbury Chamber of Commerce and Pecan Plantation Women’s Club. In her free time, she enjoys spending time with family, painting, gardening and watching her daughter play volleyball at Southwestern Oklahoma State University. Mitzi and her husband, Trey, reside in Pecan Plantation. Give Mitzi a call, she would love to hear from you!